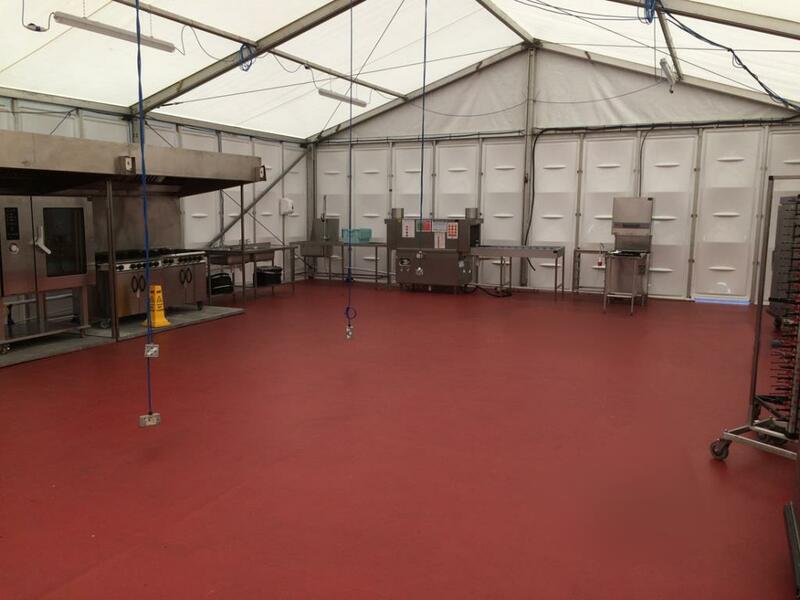 From corporate hospitality and private functions to major sports events and conferences, our Marquee kitchens can be equipped to feed 50 to 5000 covers. We supply canvas and rigid frame marquees, complete with catering equipment and other furnishings to match any requirement. Whether city or green field based, our skilled engineers can install water, drainage, gas and electric services. We have a wide range of catering equipment available. From a substantial kitchen for a major event to servery and dining furniture for a conference and bottle fridges for a hospitality tent. The Marquee is an ideal solution for large private functions, sports and music events and any other outdoor need. The Marquee is a regular feature of the events industry and a versatile solution for anything, including sporting events, agricultural shows, scout jamborees, hospitality suites, music festivals and private functions such as weddings. 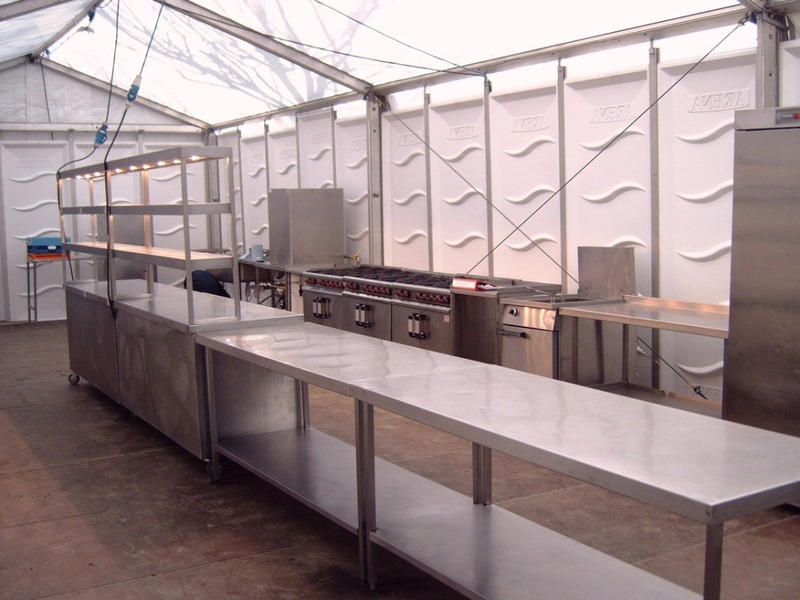 A popular deployment is at racecourses and recent installations include Chester Races with a facility to provide catering for approximately 450 covers for hospitality chalets and elsewhere. 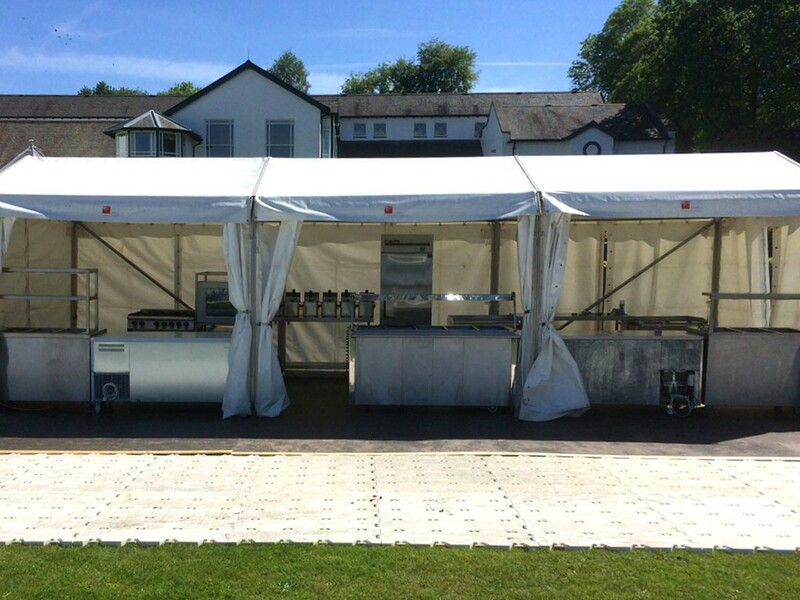 Another outdoor sports event example is a kitchen catering for thousands with waitress service over a weekend at the Great North Swim at Lake Windermere in Cumbria. We operate nationwide, with installations of our rental kitchens throughout England, Wales and Scotland. Our temporary kitchen solutions can also regularly be seen in Ireland and mainland Europe, including: France, Germany, The Netherlands, Belgium, Spain, Portugal, Italy, Denmark, Switzerland and further afield.